Bonnette Auctions is an estate sale company serving the Alexandria, LA area. Hundreds of items selling in one exciting day!! 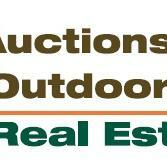 Huge Estate Auction in Historical Natchitoches, La.